anyone using the game changer? Had a guy show me one of these when b*** and striper fishing ack in roanoke, and I thought immediately about it for reds, snook, and trout. Pretty cool fly and nottoo hard to tie. I will post pics if I can. Anyone using it? 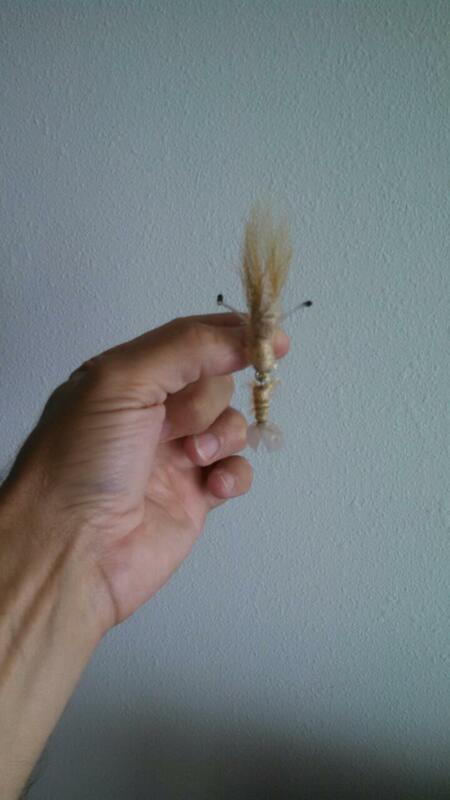 Tied an articulated shrimp with the materials too. Btw, for years I havetried to findthe right material for the shrimps shell - I finally found it. Brown plastic grocery bags!!! 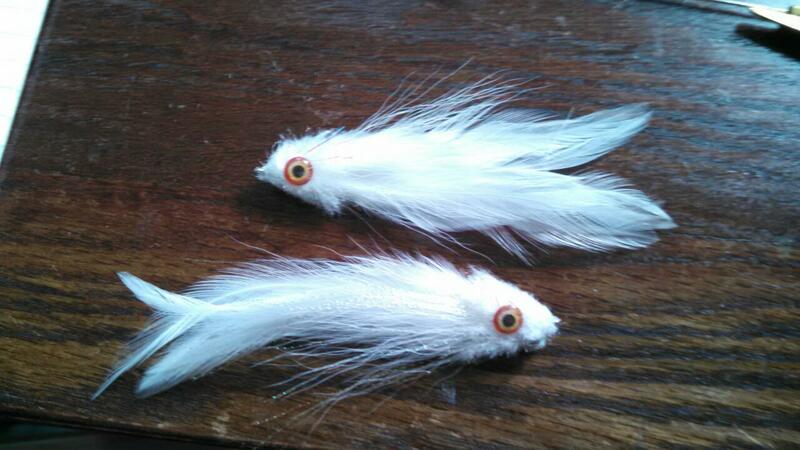 Perfect over hackle and brown bucktail and amazingly durable. Whoda thunk? Tied one using four fish spines. Fantastic action in the water. One problem however. After it gets wet it is so heavy can't cast it. Will try one with three spines. You definitely want a 9 wt to throw it. I tie them with 4 spines, but you can tie it less densley to lighten it up. 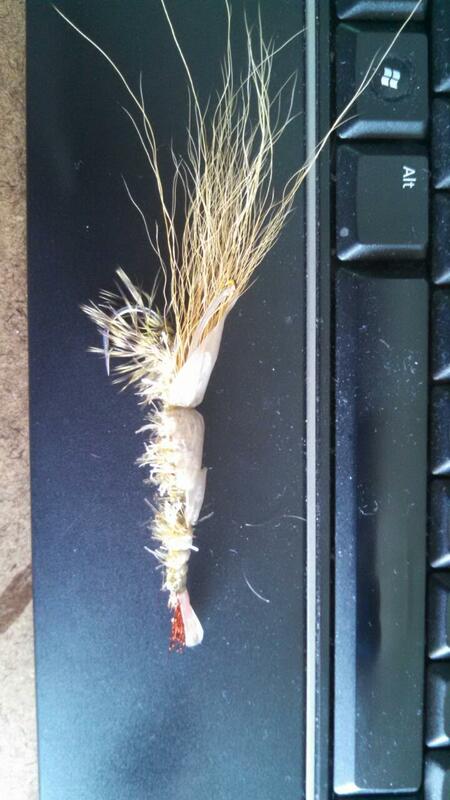 Btw, you can tie a cool shrimp pattern with thos spines in FRONT of the hook. Use a plastic publix bag for the carapace. Speaking of bags, the thick, white shopping bags, like those from barnes and noble make great tails for your game changers. Feathers don't last too long! Here are a few pics. 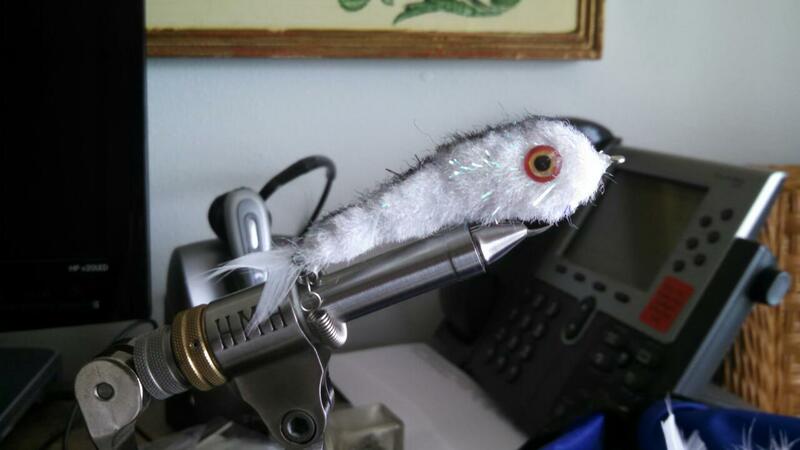 That material used for game changers also makes great heads for clousers. Used DNA holo fusion for tail. Very nice results. Tried it on a 9 wt. feels like a rock! More difficult to cast than a 12 wt. with 500 grain line. Can see the shrimp potential. the fly shop. Don't think the brush will hold so much water and the fly will be lighter. What do think? Had planned on using the Game Changer next week on some bull reds, but would never reach them using the body wrap. as long as it will sink, give it a try. I haven't used that, but please add pics if it works. You are right, the gamechanger is a phenomenal fly, but brutal if you need to make long casts. BTW, if you DO use it, it works best on a sink tip line if you are fishing deeper - 4-8 foot - flats. Obviously for tailers, floating. I do like the GC body wrap for those clousers, though, might try those tied bendback style for those bull reds if you are going shallow, will keep 'em from snagging in the gr***. Tied a game changer with four links and three links. Now I'm told need to throw with a 10 wt. Again, once wet much too heavy unless I'm dinking it at a sort distance. Must be the body wrap. Not a fan of this new innovation for bait fish.Think I'll stick with the more conventional approach. Just my opinion. Perhaps better suited for a spinning rig. I am surprised to hear you guys saying that. I throw it regularly on a 7 wt - and not short distances either! I must be tying mine with less material. BTW, Rod is a st. Croix, can't remember the model.